A live demonstration of Motion Amplification technology is planned by RMS for the duration of the Pland and Asset Management Show 2018. The Iris M camera system allows the user to measure vibration non-contact and then amplify measurements during playback within the video. Motion Amplification is already changing vibration analysis approaches worldwide and is set to continue being a game changer in engineering for 2018. 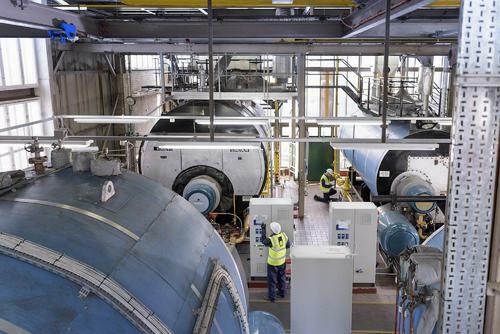 The University of Manchester has been delivering industrially applied professional development courses and consultancy in plant maintenance and reliability for over 20 years. We offer eight IMechE accredited CPD courses covering the complete spectrum of plant maintenance activities ranging from maintenance design, condition monitoring, maintenance auditing, risk and reliability modelling and turnaround management. The courses are highly recommended for maintenance professionals, engineers and practitioners. The CPD courses are applicable to most industries and service sectors including; Oil & Gas, Nuclear, Railways, Chemical, Food Processing, Energy & Power Generation, Aviation, Manufacturing, Pharmaceuticals, Retail and Leisure. These courses will contribute to your professional development and may be used for obtaining Chartered Engineer Status & Membership. The biennial co-located events; Plant & Asset Management, Drives & Controls, Smart Industry Expo, Fluid Power & Systems, and Air-Tech Exhibitions - are once again set to return to Birmingham’s NEC (Halls 8, 9 and 10) from 10th -12th April 2018, alongside MACH 2018. 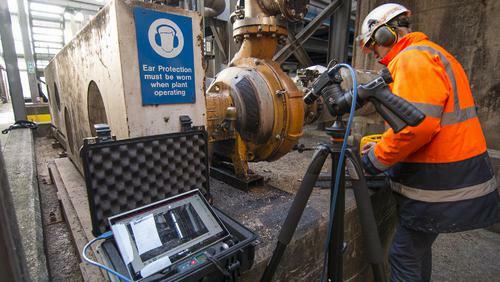 SPM Instrument, Sweden, leading worldwide provider of condition monitoring technology and products, now announces the launch of HD ENV®, a new high definition vibration enveloping technique for detection of early stage gear and bearing faults. Fixturlaser SMC machinery analyser offers automatic diagnosis of machine faults. 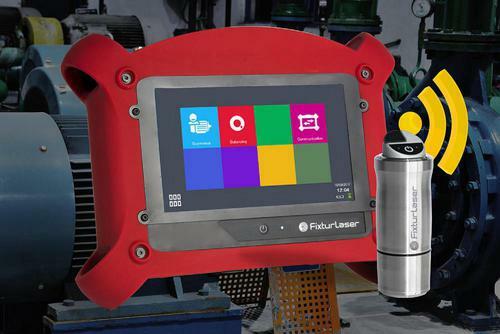 Like no other, the Fixturlaser SMC is a portable, machinery diagnostic tool that allows mechanics and maintenance technicians to check the health of any rotating machine, as needed, in a matter of minutes. It requires no special training or certification and generates straightforward, simple machine diagnostic reports with both confidence and severity levels. Fast, accurate machinery diagnostics in 3 simple steps. Select the machine you want to diagnose from the device. Take readings at each of the automatically designated points. View the machine diagnostic report to learn what is wrong and what you need to fix. Fixturlaser SMC unique automatic machine diagnostic Accurex is built into Fixturlaser SMC. This innovative machine diagnostics feature provides unbeatable fast, relevant and reliable results for a wide range of machine problems such as unbalance, alignment errors, cavitation, structural resonances, bearing problems, and more. Fixturlaser SMC machine diagnostic function differs from all other systems. Manufacturing extravaganza set to return to NEC in April 2018. How does MCPD affect YOU? The Medium Combustion Plant Directive (MCPD) is on it’s way and will be transposed into UK law by 19th December 2017. The MCPD places strict controls on emissions of NOx, SOx and particulates to the atmosphere for all boilers, burners, turbines and engines more than 1MWth input. This means that anyone with a boiler generating around 1.3 ton/hr of steam or more, or using a CHP or diesel generator of around 400kVA or more, will need to take action. The Environmental Agency (EA) has been appointed as the regulatory body to oversee compliance. If your company runs any combustion plant from 1MW thermal Input up to 50 MWth you will fall into the MCPD. The emission limits have already been set for the European Union and a number of staging dates set for the various sizes and types of industrial plant. JBC have invested time and resources in order to advise our customers on how and if MCPD affects them and what their options are. The directive fills in the gap between the Industrial Emissions Directive 2010/75/EU (the IED) and the Eco-Design Directive 2009/125/EC and applies to both new and existing equipment. In some cases, plants may be exempt if covered by another directive. Emissions Limit Values (ELV’s) will vary depending on the type of plant and fuel used and will take into account the date it was commissioned. Carbon monoxide (CO) will also need to be monitored under the new regulations. New plants are required to have a permit from 20th December 2018 before they are eligible to operate. installations up to 20 MW will be inspected every 3 years and those between 20 MW and 50 MW annually. Existing plants will not need to obtain a permit until January 2024 if over 5MW and 2029 for smaller plants. Any plant that is not compliant can only run for a maximum of 500 hours per year over 5 years and must not exceed 200 mg/Nm3. For help, advice and updated information on MCPD contact info@jbcmail.co.uk, putting MCPD Advice’ as the subject header or contact 0113 220 3830 and ask for Matthew Schofield. Save time, save your bearings and improve plant reliability. 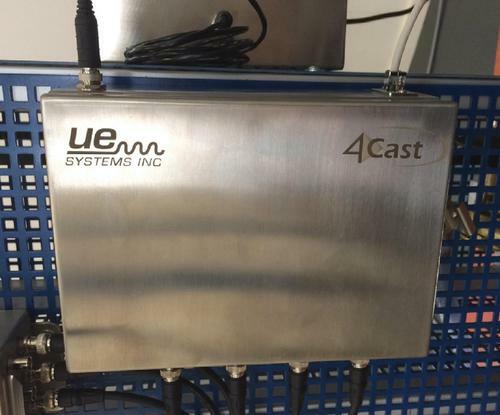 UE Systems, the world leader in ultrasonic inspection instruments and solutions, has launched the 4Cast â?? a smart alert system for bearings monitoring, that records data and sounds continuously, issues alarms and sends data and sound samples to specialized software for analysis and reporting.